Royal Baby #2 has arrived — so, naturally, everyone's talking about Duchess Kate Middleton's hair. Crowds of people surrounded St. Mary's Hospital today following the birth of the second royal baby. Paparazzi and onlookers alike had their cameras' ready to capture the first picture of the newest member of the royal family — and the perpetually flawless Middleton, of course. As per usual, Duchess Kate Middleton's looked flawless post-baby, and her elegantly wavy hairstyle has already taken Twitter by storm. The Duchess's style has been one to watch over the past few years. Her effortless glamour translates into her everyday looks. Middleton has often been seen wearing her hair in soft textured waves as she did at the Commonwealth Day Service back in March. 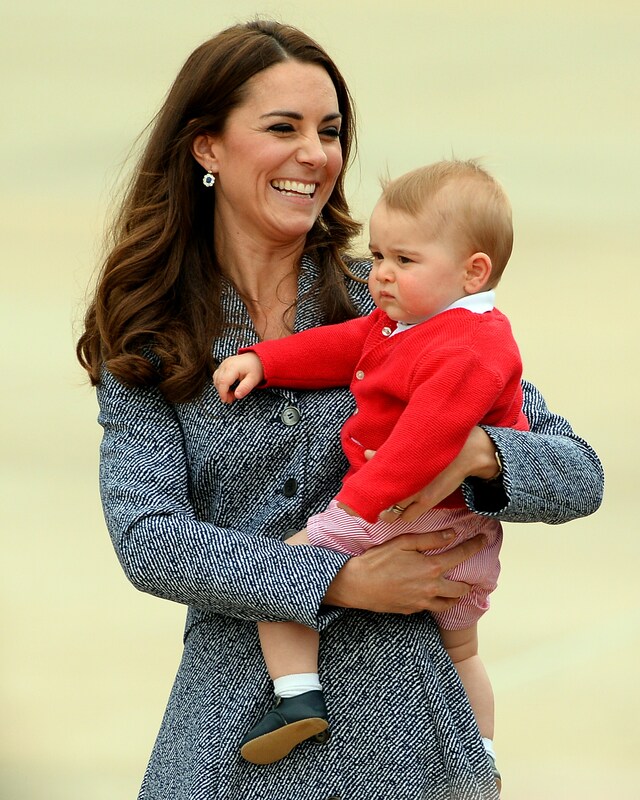 Today's look was super similar to the chestnut waves she sported during her debut with Prince George back in 2013. Tweets erupted over the Internet commenting on Middleton's fresh look. "all I know is Kate Middleton's still probably having a better hair day than I am," user Tess Koman tweeted several hours before the Duchess made her first post-baby appearance, and she certainly wasn't off-base. Here's what the Internet is saying about Middleton's famous locks now that she's out of the hospital. Fans of the royal family are excited to see if Royal Baby #2 will take on his/her mother's exceptional style. #QUEEN. Or should I say, #DUCHESS.